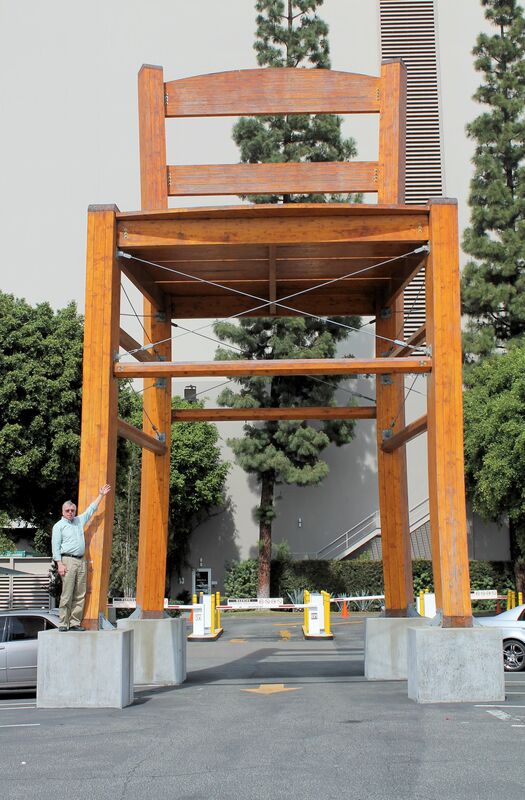 LA Huge Chair – The Home of My "Big Things"
My West Coast Bureau Chief alerted the Home Office to this Big (really huge) Chair near downtown LA. And she wasn’t kidding, this is the biggest chair I’ve seen. Look carefully, it’s big enough for a car to drive through. Maybe it’s made from Sequoia wood.